Our unique metal alloy Proficiency Testing Program (PTP) is the only program that measures analytical performance against a CRM’s “Assigned Value”, and has been used in the metals industry for more than 30 years. This PTP was developed as an alternative to typical round-robin style proficiency testing schemes, which only measure performance with non-certified materials. Our PTP is accredited to ISO 17043. It is important to monitor the quality of your analytical results, as stipulated in the ISO/IEC 17025 laboratory accreditation process. Our PTP gives you that ability with an unbiased and confidential assessment of your analytical performance against peer performance. Whether you have a single-instrument or a multiple-instrument/multiple-technique environment, our PTP is a trouble-free QA program that is traceable to national and international standards that include NIST. This PTP program provides rapid results rather than waiting for months for feedback and making it easy to implement as part of your laboratory quality program. You select the date and frequency (monthly, quarterly, biannually or annually). 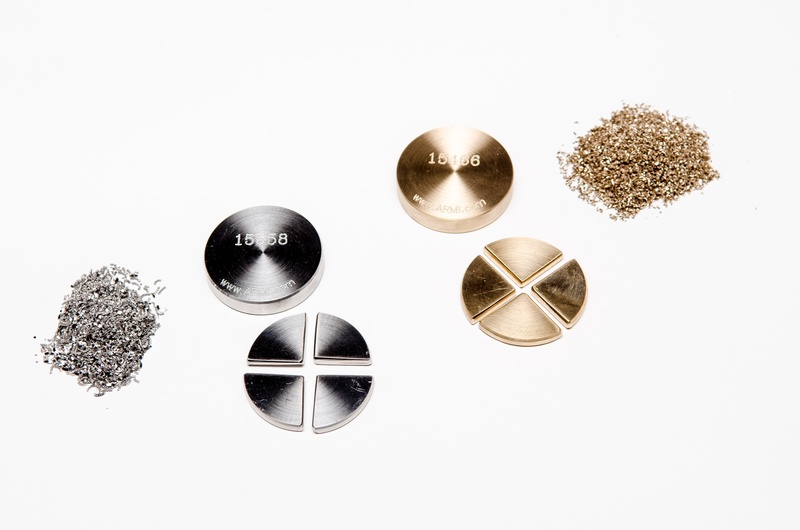 You choose the type of material by matrix group and sample configuration (solids, chips or pins). We send you a blind sample from our stock of CRMs based on your selection. You analyze the blind sample, and email or fax your results to us. You receive your report within 1 week. All results are confidential. Why Choose ARMI PTP ?